Manage risks of any nature. 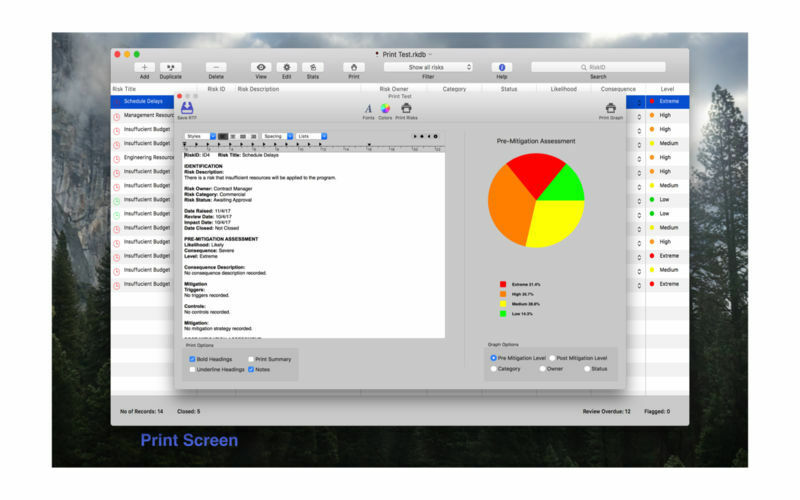 Is there a better alternative to Risk Manager? 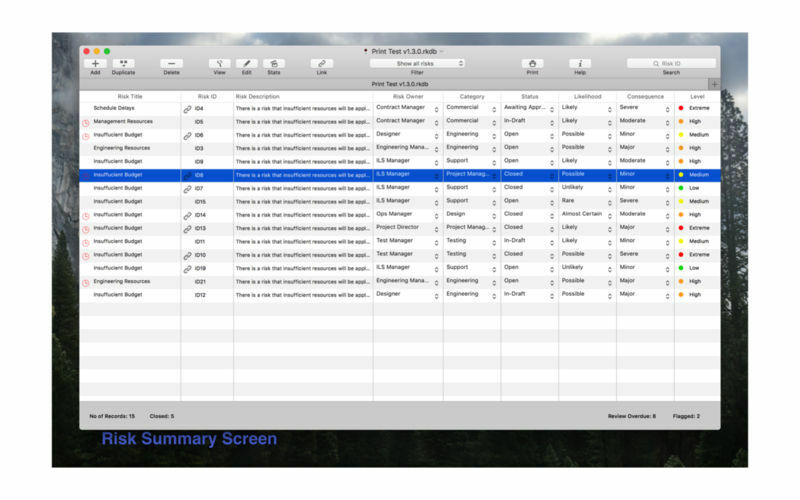 Is Risk Manager really the best app in Applications category? 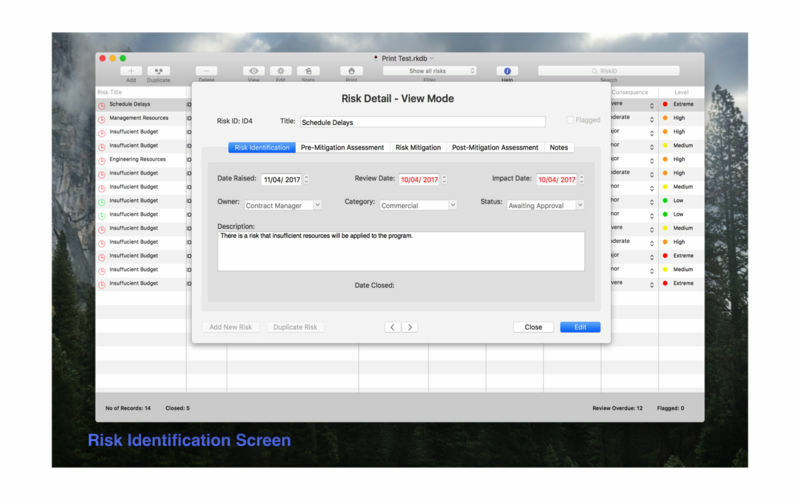 Will Risk Manager work good on macOS 10.13.4? 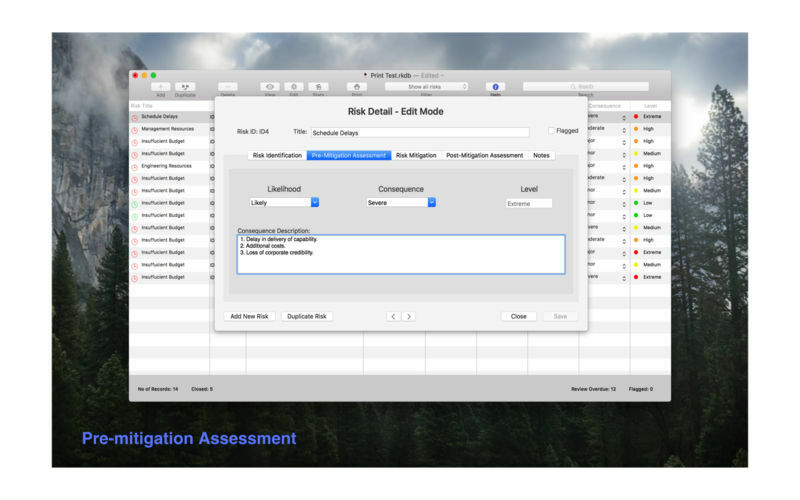 Risk Manager allows users to define and manage risks of any nature. 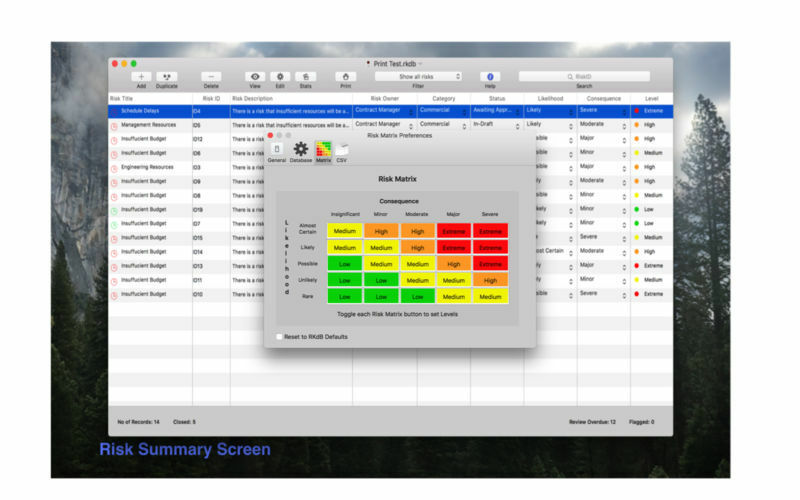 With Risk Manager, you can identify, analyse, treat and record risks in a qualitative, tailorable environment. It is ideally suited for any business, organisation (large or small) with a need to manage their risks. Risk Manager needs a review. Be the first to review this app and get the discussion started!